I saw a program on CNN some time ago about the deteriorating health of our children and the cause for it. Dr. Sanjay Gupta hosted the one-hour program that was part of a series called “Toxic Towns USA”. The program featured the town of Mossville in southwestern Louisiana that has several chemical plants. University of Texas researchers reported that 99 percent of the residents of this community suffered from an illness or disease caused or related to toxic chemicals. Another startling find in their report was that one of the chemicals found in high level in the blood of Mossville residents was dioxin. Dioxin, a by-product of combustion and various industrial processes is found in most towns and cities in the environment and in people’s bodies. This is a known cancer causing chemical. A lawsuit filed by the residents stated the toxins from the plants ended up in the water, soil and eventually their children’s bodies. Cancer and other diseases were being diagnosed almost daily from the residents with heartbreaking results of even teens having to have hysterectomies. Mossville was not the only town featured in this series. Kettleman City in California reported one in 33 infants is born with birth defects. This town has a large toxic waste plant located in it. CNN next delved into toxins in homes that can affect children from household cleaners to pesticides, children’s toys, kitchenware, mattresses and of course paint. It stands to reason from the CNN report that you risk your health if you live in a town that has a toxic waste plant or companies that process products using toxic chemicals. But what about the people that don’t live in close proximity of a toxic waste plant, but still are seeing reports or are experiencing in themselves, an increase in chronic illness? Dr. Gupta asked the question “Should chemicals be innocent until proven guilty?” I want to take this question a step further and say we need to be aware of not just chemicals, but toxic ingredients in general found in everyday personal care products, whose source could be chemical or natural. Children’s bodies are very sensitive and especially with toxic ingredients that are used daily, the damage can be serious. Even natural ingredients may have been sprayed with pesticides and have side effects. Remember drugs are all based on natural herbs and botanicals. Another common sense way of looking at it is that if a product is truly natural, it would have to either be refrigerated and/or be used up within a short time frame. The CNN report didn’t detail enough about the cancer-causing ingredients found in many personal care products such as baby shampoos. You would think that a major brand for baby products would be safe, but this is not necessarily the case. Harmful and toxic ingredients can be found in the cosmetics you put on your face, the lotions you put on your body and the toothpaste you brush your children’s teeth with. Environmental Working Group (EWG) has been sounding off on the toxic ingredients we use daily in personal care products for quite a while. Their studies report even popular products may contain hormone disruptors and carcinogens. Unfortunately most people think products are quite safe as long as a familiar brand name is on it or a famous movie star advertises for it. We do know cancer and other chronic illness are on the rise in adults and children. Cancer Cause in Your Bathroom? Most people don’t realize the Food and Drug Administration (FDA) does not regulate the personal care and cosmetic industry. These companies can put any ingredients they choose in products and not even list some of the ingredients. According to the EWG, a consumer based watchdog group for safety, we absorb over 123 ingredients daily into our body through the skin. What’s shocking is that over 90 percent of these ingredients have not been safety tested. What is a consumer to do to ensure the products they use are safe and minimize the risk of absorbing toxic ingredients. You really need to take responsibility for you and your family and become a wise consumer. The choice for health is yours. I think that is essential. The safe principles outlined below should help you to that end. PUT SAFETY FIRST — Don’t assume because a brand is well-known that it’s safe. Become educated on what ingredients are flagged as toxic and don’t buy products that contain those ingredients. CHOOSE THE SAFE PRODUCTS — There are many databases on the Internet that you can use to search safe products. One such website is the EWG’s Skin Deep. They list companies, grade them for safety and even list all the ingredients. To find out any side effects to botanicals or herbs listed on a product, check it on MedLine Plus. Just because a product has the word “natural” on it, don’t think it’s safe. This is a marketing tool used to sell products to unsuspecting buyers. Many herbs are soaked in toxic preservatives that don’t even list the agent it was preserved in. 1, 4-dioxane — a carcinogenic contaminant found in cosmetics and personal care products. It could be contained in ingredients such as ethoxylated surfactants, a commonly used foaming agent. Alcohol — Frequently found if mouthwash, alcohol is not helpful for the health of your mouth. It can dry the tissues and cause gum disease and cavities. Diazolidinyl Urea — Found in many products, this is a strong irritant and may cause contact dermatitis.Dibutyl phthalate — a known toxin found in most nail polish. Echinacea — This popular herb has been associated with an increased incidence of rash in children. Side effects can include stomach discomfort, nausea, rash, headaches, and muscle aches. The risk may outweigh the potential benefits of preventing a cold. Fragrance — Fragrance can mean it contains many separate ingredients, many of which can be toxic and cause allergies, headaches, skin irritation, hyperactivity and others, as reported by the FDA. Lanolin — Lanolin is usually obtained from sheep wool. It is highly contaminated with pesticides and insecticides. Mineral Oil — This petroleum by-product clogs the pores, promoting acne and skin damage. Parabens — Used as a preservative in many products in the form of methyl, propyl, butyl and ethyl. Two studies reported finding this chemical in breast cancer tissue. Polyethylene Glycol — Petroleum based ingredients can dry the tissues. It thickens products. Propylene Glycol — Another petroleum derived ingredient. Commonly used to preserve herbal extracts (organic and non-organic), but not listed on labels. Salicylic Acid — This “natural” ingredient is an anti-inflammatory found in aspirin, many anti-aging skin care and acne treatment products. It dries the tissues and can cause allergies with long-term use. This is found naturally in all botanicals in varying amounts. Using products with herbs and extracts frequently could result in allergies due to salicylate content. Sodium Lauryl Sulfate (SLS) — A foaming agent and industrial detergent found in most if not all shampoos, toothpaste, bath gels and other personal care products. It can cause outbreak of canker sores, dry the tissues and result in contact dermatitis. Stearalkonium Chloride — found in conditioners, is an irritating chemical. Tea Tree Oil — According to MedLine Plus, this herb which is also known as melaleuca, has many reports of allergy taken by mouth or used on the skin. 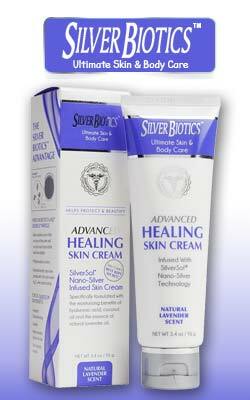 Skin reactions range from mild contact dermatitis to severe blistering rashes.